As expected, Apple has taken steps to ensure iOS device owners have the latest and most stable version of its mobile operating system, and is no longer signing code for iOS 8.4.1 or iOS 9.0. The company is limiting compatible versions to iOS 9.0.1 and iOS 9.0.2, the latter of which as released earlier today. With Apple no longer signing code, users who upgraded to the latest iOS 9 release can no longer revert to older iOS versions. Apple released iOS 8.4.1 in August with fixes for Apple Music and iCloud Music Library, while iOS 9.0 saw its debut two weeks ago. In related news, the iOS 9.0.2 update issued today fixes a security issue that allowed malicious users to bypass a passcode protected lock screen and gain unfettered access to an iPhone's photos and contacts. 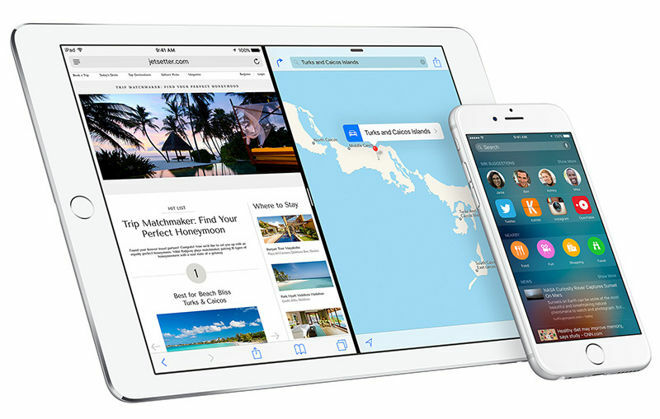 The exploit was discovered in initial iOS 9 firmware and was left unpatched in iOS 9.0.1.